US sporting goods giant Nike has received its third accreditation from the Fair Labor Association (FLA) for its social compliance programme – a move that confirms the company continues to have policies and practices in place to monitor and fix labour abuses in its supply chain. The Fair Labor Association works to promote and protect workers' rights and improve workplace conditions, and its accreditation process is a multi-year examination of a company's labour compliance programme. "Nike for nearly 20 years has demonstrated a steadfast commitment to improving its labour practices by maintaining its Fair Labor Association accreditation. As Nike has grown the company has expanded its efforts to promote high labor standards across its supply chain," says Sharon Waxman, president and CEO of the FLA. "Nike's emphasis on transparency and its increased engagement with outside stakeholders on its labour practices benefits workers and the broader field of labour rights." Innovative programmes to support suppliers to improve factory-level working conditions. "At Nike we are deeply invested and engaged in respecting and advancing human rights," says Jaycee Pribulsky, vice president of sustainable manufacturing and sourcing. "When brands, organisations, and governments work together, we can help make a global impact and improve the lives of workers in global supply chains. We have worked with the FLA since its inception because we know that collaboration plays an important role in driving consistent industry standards, and we look forward to continue working together into the future." Nike's social compliance programme has been FLA-accredited since 1999 and received its last re-accreditation in October 2008. The FLA's accredited network includes other major sports apparel companies such as Adidas, New Balance, Under Armour and Puma. 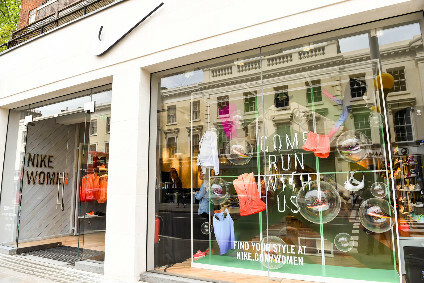 The new report notes that Nike, FLA, and the industry should continue to focus on issues including grievance systems and wages. A recent move by the FLA to require its company affiliates to publicly disclose their supplier lists is also being seen as a significant development towards greater transparency and corporate accountability for garment workers' rights in global supply chains. The FLA confirmed to just-style that its board of directors last month voted on the move – although details concerning the implementation, including the scope of disclosure, are due to be finalised this year.